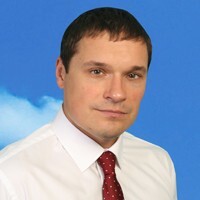 Stanislav joined OSG in 2006 as Business Development Manager for Ukraine. In 2007 he was promoted to become General Director of Ukraine. Stanislav lead the national development of OSG in the country, which included opening new archives in key cities. Stanislav has been the recipient of numerous business awards including the prestigious Ukraine's Manager of the Year, and Leader in Industry and Enterprise for the Year. Prior to OSG, Stanislav worked for Nestle and Ernst&Young. Stanislav graduated from Kiev National Economiс University (Masters Degree).